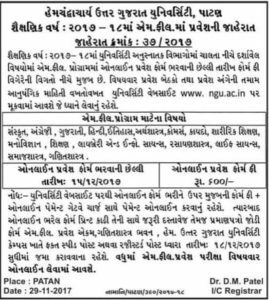 HNGU M.Phil Admission, mphil.hngu.net Admission: Hemchandracharya North Gujarat University released notification regarding admission in M.Phil. Candidates may apply online for Hemchandracharya North Gujarat UniversityHNGU M.Phil Admission on official website mphil.hngu.net. This is a official web portal to apply for HNGU M.Phil Online Admission through official website mphil.hngu.net. University published notification regarding HNGU M.Phil Admission. HNGU announced advertisement for admission in M.Phil in various subject mention in advertisement. Eligible students may read all information like how to apply online, last date for apply online, subject vise seat and other information on its official website. Applicants have to fill online through official website and submit fee Rs. 600/- including gate way charge. Candidate have to take print out application form and submit it with necessary documents and other at Pravesh Ekam, Ganitshashtra Bhavan, HNGU campus by Speed Post or Register Ad on or before last date. The entrance exam shall be objective type with 100 multiple choice questions as per scheme. Scheme-1:- Research Methodology (subject wise) 50-MCQ questions of 50 marks. Scheme-2:- Subject Specific 50-MCQ questions of 50 marks. The M. Phil. Degree course shall be of one year duration full time course with two semesters. The exam shall be taken as per the schedule of the university and dissertation may be submitted within one year after the registration of the candidate. A Candidate shall be admitted as M.Phil. Student through an entrance test conducted by University. Those candidates qualifying UGC-CSIR-NET/GATE/SLET test or awardees of teacher Fellow (TF) form UGC are exempted from the entrance test. Students who are appearing in the final semester university examination shall be allowed to sit in the M.Phil. entrance examination. The reservation for various categories shall be as per the state government policy implemented from time to time. To qualify the M.Phil. 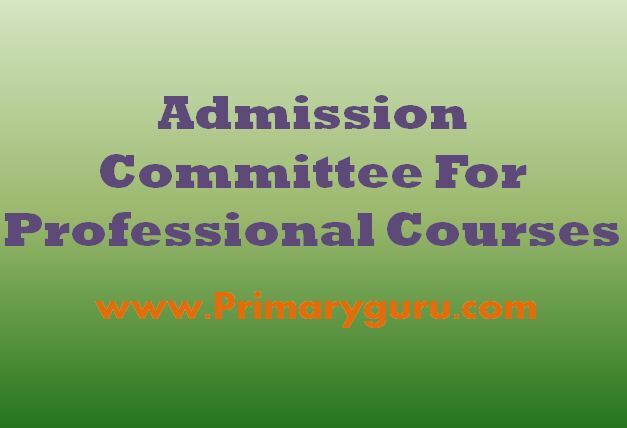 Eligibility test, Student must acquire 50 % marks aggregate of both sections in the M.Phil. Entrance test. (As per UGC Notification M.Phil./ Ph.D. Regulation 2016 dated 5th May 2016 (5.41). Those who are exempted from M.Phil. Entrance Examination. The University shall notify the number of seats, procedure for admission, entrance examination schedule, etc. on its website or by an advertisement for admission in M.Phil. Programme. North Gujarat University successfully conducted M.Phil exam on 22nd & 23rd January, 2018 at Patan University Campus. Candidates appeared in this exam all are eagerly waiting HNGU M.Phil Merit List 2018. University will be announced merit list soon on its official website. University will be going to conduct exam on next few days. HNGU released latest examination notification regarding M.Phil Online exam.Candidates whose application form confirmed they may check M.Phil Exam Schedule 2018 on this page below. Students are advised that bookmark this page and be touch regular on this page for get more latest updates about HNGU M.Phil Admission.